Make the dressing first. 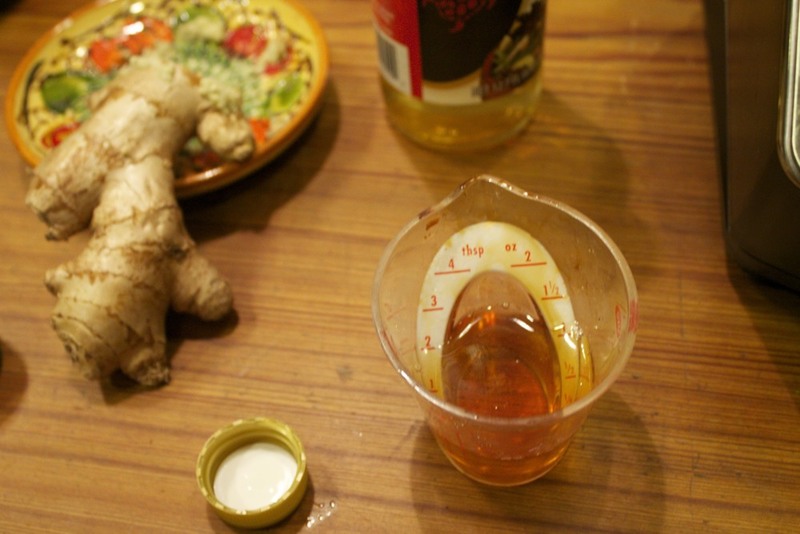 In a blender, add the soy sauce, rice wine vinegar, grated ginger, sesame oil, and honey and blend well. 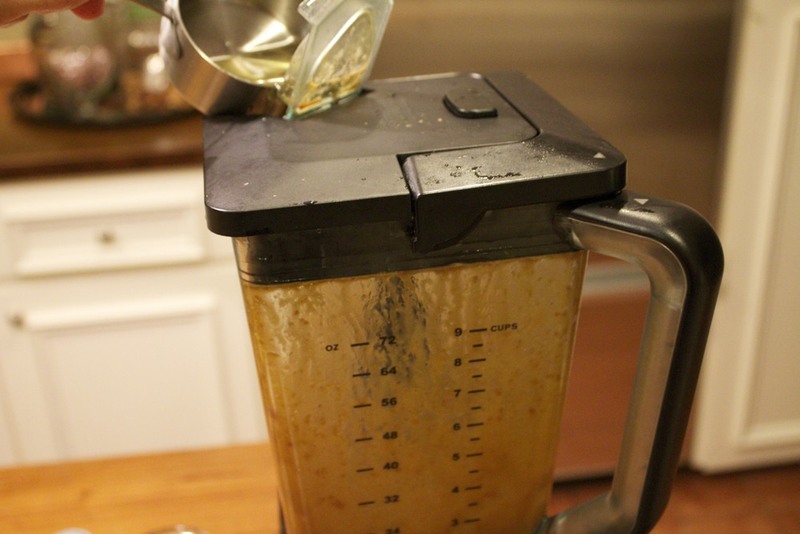 With the blender running, slowly stream in the canola oil, blending until emulsified. Refrigerate until ready to use. Now for the salad. 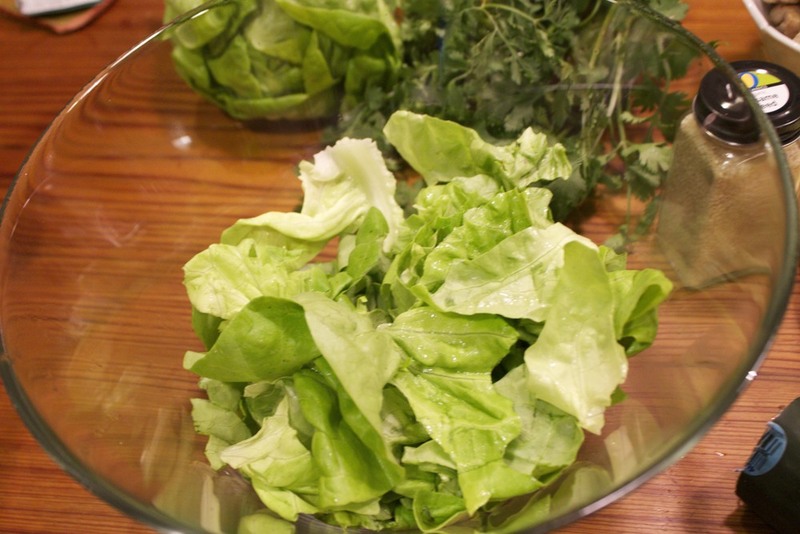 Tear the lettuce into bite sized pieces and add to a large bowl. 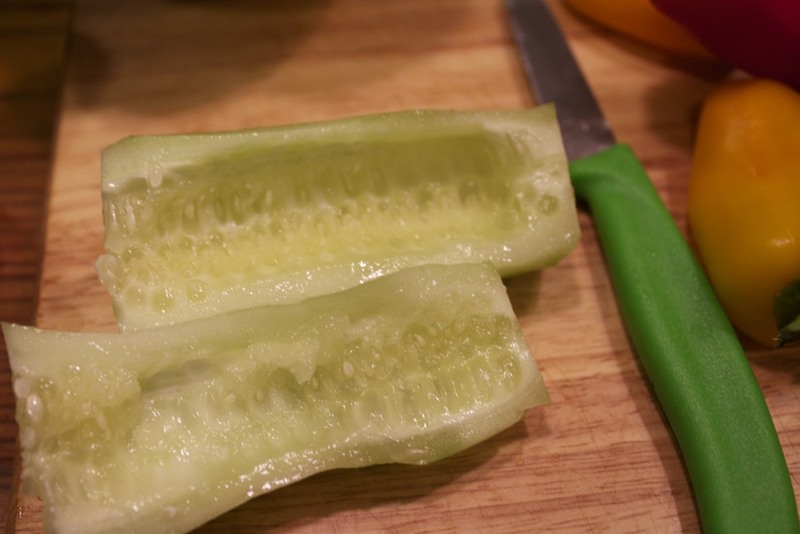 Peel the cucumber and slice it in half lengthwise and scoop out the seeds. Slice both halves into about 1/4 inch pieces and add to the lettuce. De-seed the peppers and cut into 1/4 inch pieces and add to bowl. Trim the ends of the snow peas and slice diagonally into 1/4 inch pieces and add to the bowl. Chop cilantro and add. 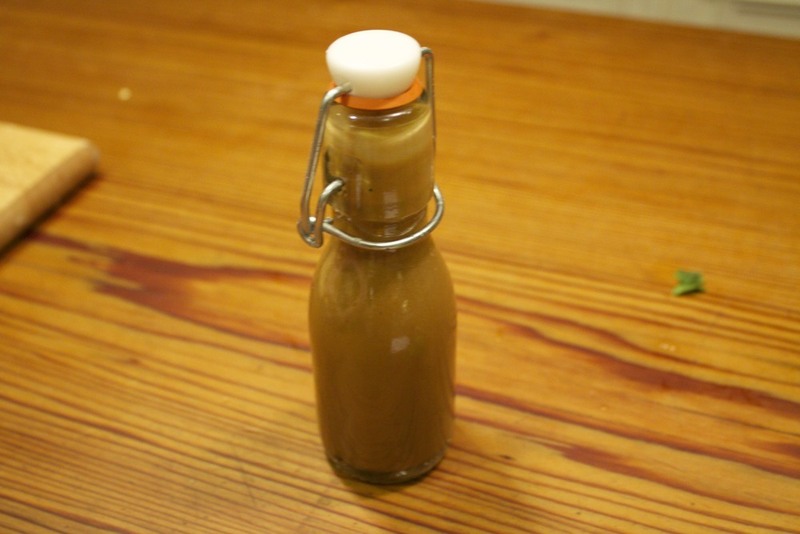 Toss all the ingredients with the dressing until well coated. Add the tuna and sesame seeds and toss. Taste and add salt and pepper as needed. Now it's time to eat! Posted in In The Kitchen and tagged with salad, tuna, asian. May 21, 2013 by Lynn Adams.